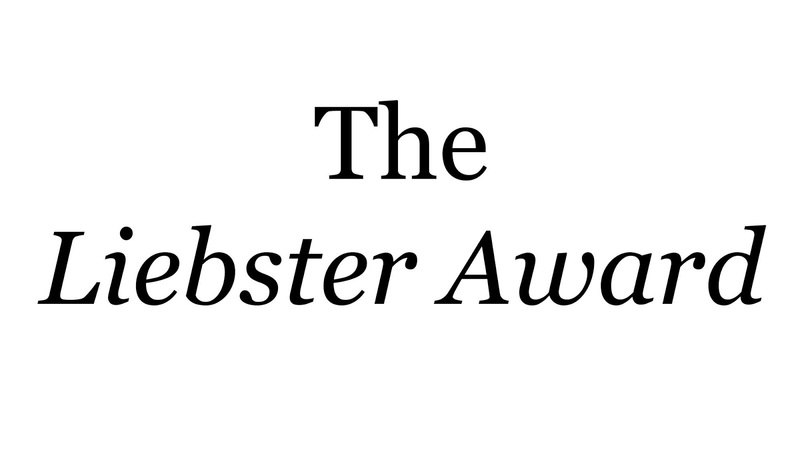 I got nominated for the Liebster Award (find out about it here!) which entails me answering 11 questions by the blogger who nominated me. 1. Thank the blogger who nominated you and link their blog. Firstly thank you to Honey from HoneysRoyaltyBeauty for nominating me! It's so sweet that you thought of me. 1. Why and when did you start blogging? 2. Have you met any friends through blogging (and I do mean friends, not just internet buddies)? Not yet, as I said, I'm a newbie! I hope so in the future. Hopefully I'll pluck up the courage to go to a blogging event some time! 3. How would you describe yourself in 3-5 words (no more!)? 4. What is your favourite social network and why? Instagram. I'm a photographer, so I'm drawn to pictures and enjoy looking at them. 5. Do you find yourself wanting more followers and readers to the point where you actually calculate posting and advertising or even feeling bad about small numbers? Occasionally I feel like I'd like to have more followers and readers, but I'm not bothered about it enough to do anything about it or focus on numbers. 6. If you could go to a concert of any singer or group (dead or alive, together or parted), which would it be? My favourite band: Biffy Clyro. 7. What do you love buying? 8. Would you say you like the way you are, like you're a complete person? If not, why not? I don't like that I'm quite materialistic. I know neophilia is normal but I think I get way too much pleasure out of shopping and getting new things than is normal, and I find experiences like weekends away less enjoyable because I know I'm spending money on things like accommodation and travel when it could go on new material goods. 9. What's your little secret your close ones don't know about? If you're willing to share. I don't really have secrets, to be honest. I'm boring, haha. 10. What do you do when you're stressed? Run away in panic and pretend it doesn't exist whilst getting more and more stressed about it, because I'm letting the stressful situation bubble on in the background rather than addressing and resolving it. 11. Have you ever read my blog and what do you think of it? Honest answers, please! I have read your blog! I love the content, I think you have a lot of wonderful and well articulated opinions! If you're looking for an honest answer and constructive criticism though, I think the presentation and layout looks a little cluttered and could look more sophisticated. What is your favourite blog post that you've ever written? What is origin of your blog name? Are you still happy with your blog name, or do you wish you'd have chosen something different? Where are you from, and do you like the area you live in? Are you watching any TV series at the moment, or watched a film recently? What are your thoughts on it? What's the first thing you do in the morning when you wake up? Can you cook or bake? If so what's your favourite thing to make? If not, why not? Thanks for reading! Hope you enjoyed learning a bit about me.